← So what is a “smart city”, anyway? Encouraging energy efficiency among residents and businesses is hard work, not least because of the absence of accessible and easily understandable information about energy consumption. Most people don’t understand everything on their energy bills, don’t know if they’re using more energy than they should, and have no way to compare their energy use to that of their neighbors. This information is often guarded closely by utilities, presenting energy efficiency advocates with a formidable barrier. In her thesis, Alexis Howland (MCP ’13) sketches the possibilities afforded by better energy consumption data. She surveyed efforts across the country to share energy efficiency data. Alexis focuses on incorporating these data into mapping applications—which could lay bare the differences in energy consumption among homes and add valuable information to the housing market. These efforts could be combined to allow no-touch energy assessments that offer actionable suggestions for homeowners who want to improve their energy efficiency. 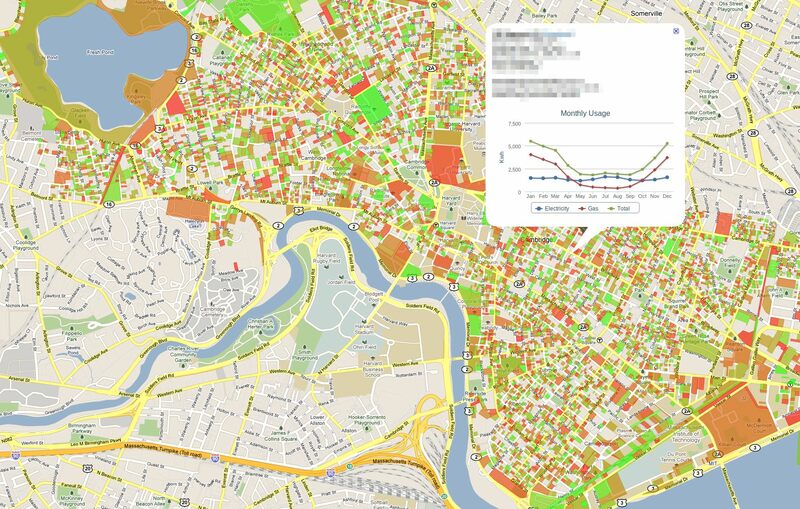 In a survey of five previous attempts at energy mapping, Alexis notes a common theme: the developer’s inability to access or make public energy consumption data at the household level. This, Alexis explains, is due to privacy concerns that have so far prevented such data from being used to its full potential. Alexis explores ways of unleashing these data. Several cities—including Boston—have recently passed ordinances that require the disclosure of energy consumption data, and the federal government has offered a framework for voluntary energy data disclosure through the Green Button Initiative. While these efforts must overcome serious privacy concerns, they have the potential to make public vital information about the way people and buildings nationwide use energy. Read more about Alexis’ survey of the opportunities for and barriers to energy mapping projects in her thesis. Posted on April 28, 2014, in conservation, economy, energy efficiency, environmental planning, housing, smart cities, technology and tagged electricity, energy, energy efficiency, technology. Bookmark the permalink. 1 Comment.